Unique idea for gift-with-purchase, tee prizes and pillow gifts; Aloe Up sun care kits offer ideal branding opportunities for your store or event. Custom imprint kits available with your favorite Aloe Up products at surprisingly low minimums and quick turn-around times. Various sizes, colors and styles available. 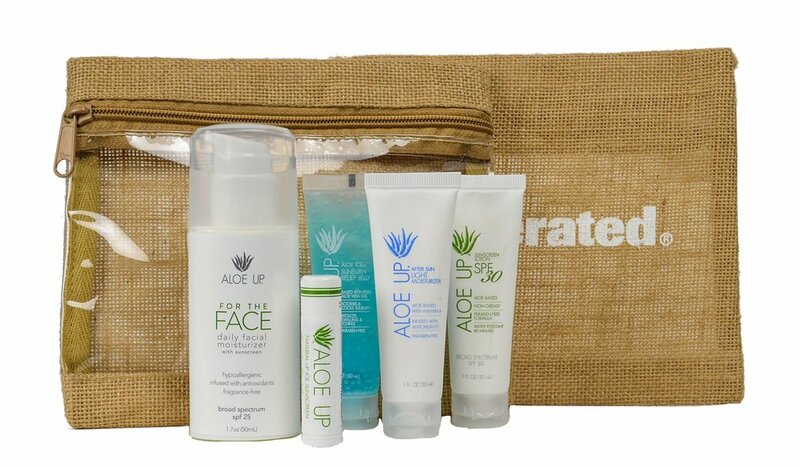 Unique branding opportunities are available on multiple Aloe Up formulas including: lip balm, sunscreen, moisturizers, & sunburn relief as well as amenity kits. Our in-house graphic design team will take care of any design hassle, while low minimums & quick production time will assure product in a timely manner for your event. Complete sun & skin care branding opportunities available to you in the same high quality Aloe Up formulas. Program offered in several bestselling sunscreen factors as well as moisturizers and sunburn relief. Photo quality imprint process and various sizes available. The opportunity to offer your very own lip balm has never been easier. Custom imprint your logo on the same quality Aloe Up stock lip balm formulas at low minimums and quick turn-around times. Full color imprint process and various flavors available.